The Optical Line Tracker (interpreting unit) HG G-73840 which is part of an Optical Guidance System for Automated Guided Vehicles (AGV) enables travelling along a contrast line on the ground. The Optical Line Tracker interprets the location of this line within the view of the camera and outputs its position with regards to the center of the produced picture. In addition, it is possible to detect branchings from the original course. 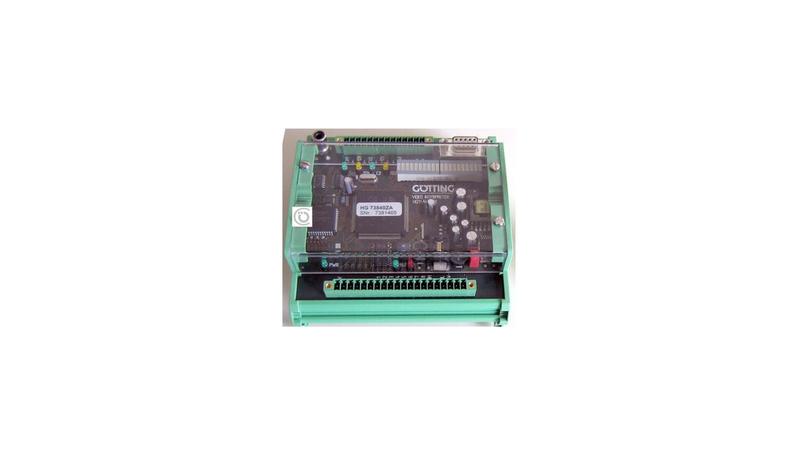 The Optical Line Tracker is made for the connection of two (2) PAL standard video cameras with composite video signal, in order to automatically guide a vehicle in two different directions of travel (forwards and backwards). It includes a video multiplex unit. It is possible to connect a video monitor in order to control the detected track/line. The detected track is indicated on the display. In addition, an LED line indicates the location of the guidance line. An optical track guidance is only suited for an application in which a minimum level of cleanliness is guaranteed.